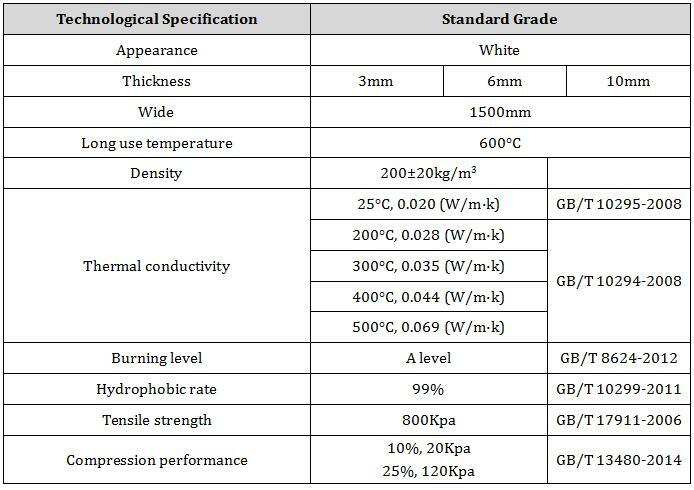 HH-G600 Glass fiber reinforced silica aerogel blanket is a flexible insulating felt made of nano-silica aerogel as a main material and compounded with glass fiber cotton or pre-oxidized fiber felt by a special process. It is characterized by low thermal conductivity, certain tensile and compressive strength, and is a new type of thermal insulation material. Used for oil pipeline insulation, urban heating pipeline insulation, industrial equipment insulation, etc. Normal temperature seal. Stored in dry environment.